Coach and Kru Dave Nielsen is a Master Level Personal Trainer (more than 10 years actively training clients full time in the Pacific Beach and La Jolla area), a retired Professional Muay Thai fighter, former 7X Undefeated Amateur Champion, former IKF Muay Thai World Champion, and former WBC Muay Thai US Cruiserweight Champion. Along with his Muay Thai striking abilities, Coach Dave is also a California State Submission Wrestling Champion and a USA Boxing Coach in Pacific Beach San Diego California. Coach Dave has produced numerous Champions in Muay Thai and Jiu Jitsu Grappling that have competed in Americas top promotions such as Lion Fight, WCK Muay Thai, Glory Kickboxing, Grapplers Quest, Best of The Wes, The Pan Ams and more! Fitness, self defense or competition, Coach Dave has the experience to get you were you want to be. 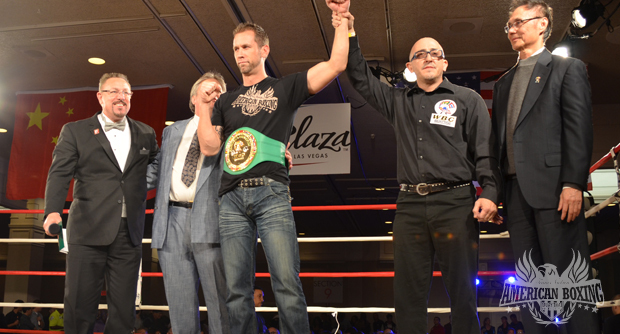 Coach Dave Nielsen wins IKF World Title. Has been a teacher and ambassador of Muay Thai Kickboxing full time for more than a decade. 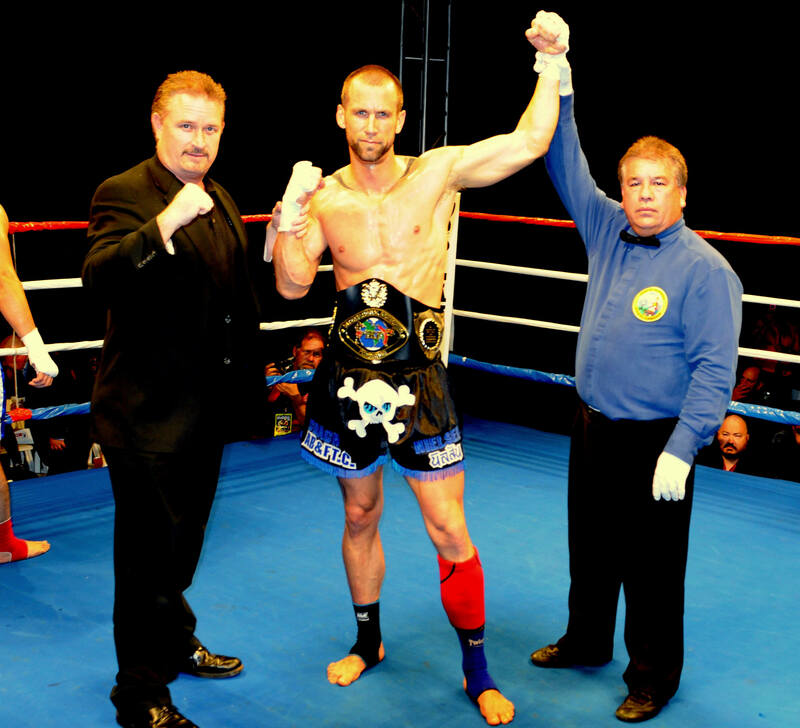 In 2010 Coach Dave represented TEAM USA at the World Cup of Muay Thai in Bangkok Thailand and was 1 of only 2 Americans to medal at the event featuring over 180 countries from around the world. Has produced fighters and Champions seen in events such as Glory 10 Los Angeles, Lion Fight Las Vegas, Friday Night Fights New York, WCK World Championship Kickboxing and more! A California Muay Thai Champion (both IKF and IAMTF), A West Coast Muay Thai Champion (IKF), A Muay Thai U.S. National Champion (IAMTF) and a Muay Thai World Champion (IKF), Coach Dave has unparalleled experience as a FIGHTER/TEACHER of Muay Thai Kickboxing. 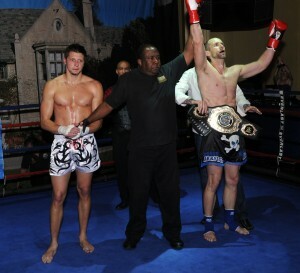 Kru Dave has a 100% Muay Thai base having never trained in other striking martial arts. However, his significant knowledge of jiu jitsu and wreslting have allowed him to develop an MMA style of Thai Boxing that is second to none! Kru Dave’s Thai boxing technique is a very strong style of Muay Thai with both traditional and Dutch influences. You know the saying, “those who can’t do, teach”, well, Coach Dave does both, very well. 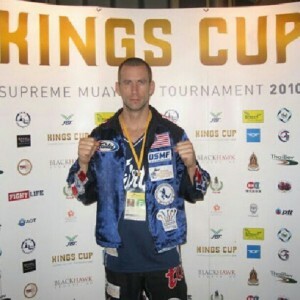 Coach Dave representing Team USA during the KINGS CUP in Bangkok Thailand, 180 Countries were represented! Winning 1 of only 2 Medals for the USA, Coach Dave gifted his Medal to Head Coach Kirian. With his comprehensive knowledge of Muay Thai take-downs, striking and submissions, Coach Dave has even had his expertise called on as an Expert Muay Thai Witness in a California Murder Trial! With 30+ Years experience in athletics (football, basketball, baseball, Boxing and Muay Thai), Coach Dave Nielsen is a sports performance specialist as well as a expert analyst and strategist. His ability to see an athletes weaknesses and make them strong can only be matched by his ability to perceive an opponents weakness’s and take advantage. A musician, 3 sport competitive athlete and a health and a fitness enthusiast for nearly 30 years, at 25, Dave moved from the Seattle area to San Diego to pursue a music career and eventually a higher education. After finishing college in San Diego, receiving Degrees in Political Science and Business Administration both with Honors, Dave turned down an acceptance to UCLA (The University of California Los Angeles) for pre-law and a potentially lucrative Law Degree to pursue his lifelong hobbies of Health, Nutrition and Fitness as well as his new found love of Muay Thai kickboxing. Coach Dave has worked with Breast and Systemic Cancer Survivors, Police Detectives, US Border Patrol Agents, Navy S.E.A.L.S., Pre Natal, Pregnant and Post Natal Women, Pro Baseball and NFL Players, UFC Fighters and more! Coach Dave is an extremely technical instructor who enjoys working with past, current and future athletes of all levels in all sports! Can you imagine learning from a coach with 25 YEARS as a student of Boxing and MMA Training with THE TOP FIGHTERS, TRAINERS and COACHES in the WORLD as well as more than 30 years of sports, fighting and fitness knowledge? Established in 2003, American Boxing is a Family Owned Muay Thai Boxing, MMA (mixed martial arts) and Personal Training Academy located in Pacific Beach, San Diego, California USA. The gym is a perfect 2 mile jog to the beach. 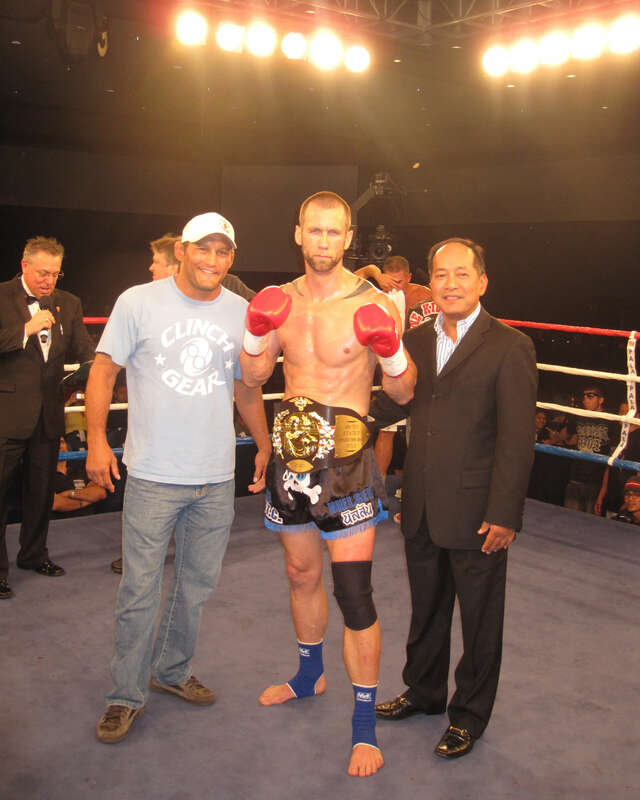 American Boxing specializes in Muay Thai Kickboxing, Boxing and Personal Training. Additionally, American Boxing is highly experienced in and offers training for Submission Wrestling and MMA for competition. With classes of fewer than 12 students, American Boxing Gym offers San Diego's Men, Women and Children, Small, Clean and Safe Classes to work towards serious fitness, self defense and competition goals! Load More...Follow Us on Instagram for SPECIALS!